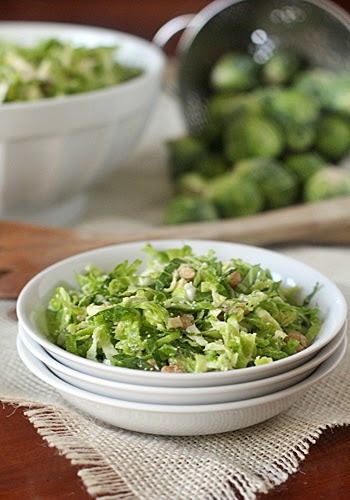 In a medium bowl, combine sprouts, walnuts, cheese, oil, lemon juice, and vinegar; toss to combine. Season to taste with salt and freshly ground black pepper. Enjoy! Чудесна салата, много ми хареса!